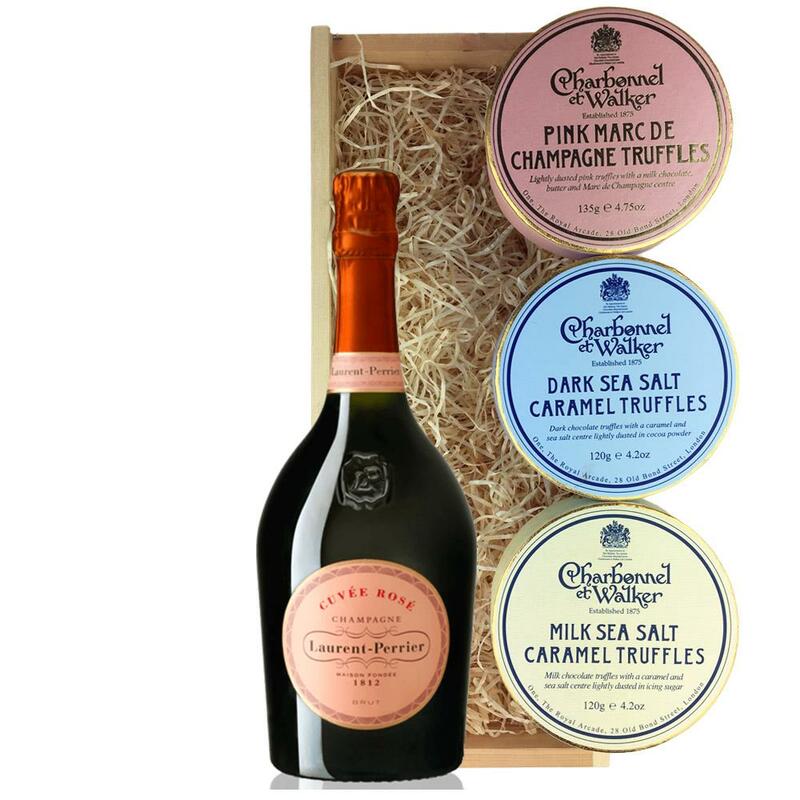 Buy this lovely wooden Gift box and get it with a full bottle of Laurent Perrier Rose Chamapgne 75cl packed together with a trio of Charbonnel Et Walker Truffles. La Cuvée Rosé was created in 1968 from the boldness and know-how of the House of Laurent-Perrier. Perfected at each stage of its making, Cuvée Rosé is acknowledged for its consistency and its high quality. It is characterized by its ripe red fruit aromas, a high intensity and great freshness. This product is hand packed onsite by Champers Direct, and is not affiliated with any other brand. Champers Direct is responsible for this product combination/set.